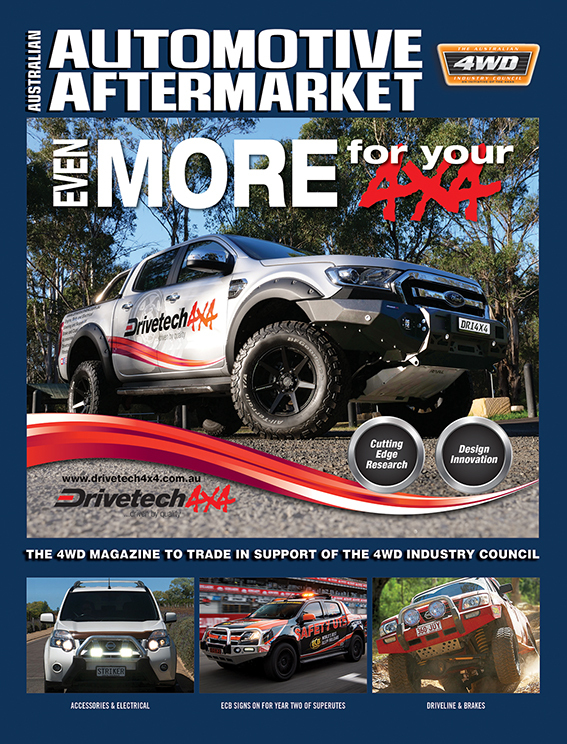 ARB 4×4 Accessories is Australia’s largest 4×4 accessories manufacturer and is continually increasing its offering to meet the shifting needs of the 4WD market. To ensure its products consistently meet expectations, ARB explains it invests substantial capital into research and design each year. Just two of ARB’s recently released products are the ARB Summit Rear Step Towbar and its Old Man Emu Suspension. 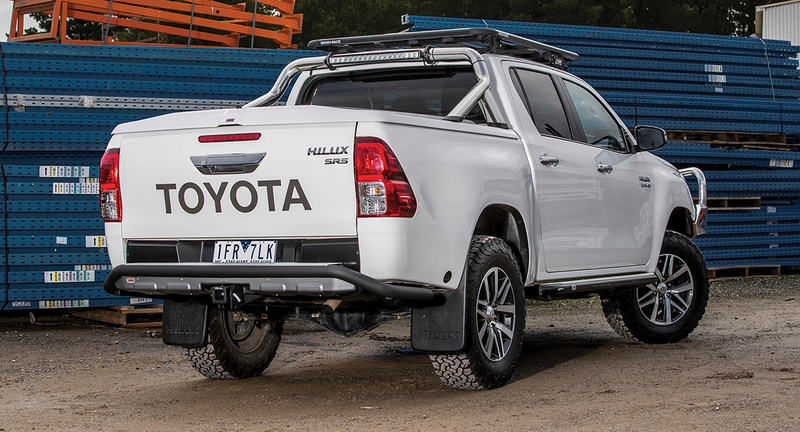 For consumers buying a modern ute, a heavy-duty towbar becomes one of the most essential accessories to complement these vehicles’ impressive tow-capacity figures. 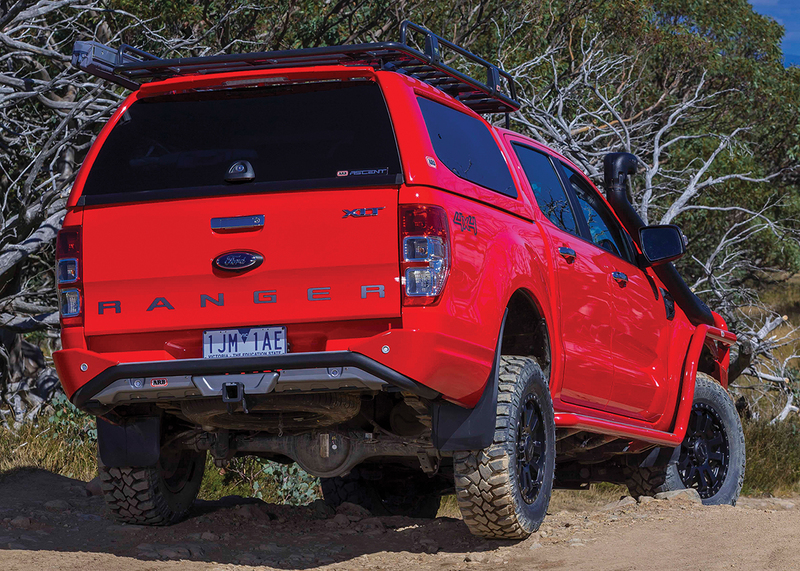 ARB 4×4 Accessories says it is continuing to increase its offering for ute buyers with a range of Rear Step Towbars. An ARB Summit Rear Step Towbar (RSTB) offers not only a more functional platform for towing purposes, but a built-in protection system to guard the rear of the vehicle. While meeting all the expectations of a standard towbar, with up to 3500kg towing capacity, the ARB Summit RSTB range is designed with a longer step finished with a ribbed aluminium plate for optimum access and grip along the rear of the tub. Surrounding the tow hitch is a dedicated area for mounting all the necessary wiring connections such as trailer lights, electric brake cables and/or an Anderson plug. For Summit (not Raw) owners, the inclusion of a hinged cover reduces exposure to the elements while maintaining the sleek appearance. Another popular fitting for this sheltered section is an air compressor outlet; plumbed back to an on-board compressor. Having an air compressor fitting at the back of your ute is highly convenient for pumping the tyres of your ute, caravan, boat or tool trailer as well as blowing out dust, sand and so on with a blower attachment. From the outset, the design of ARB’s Summit RSTB range offers improved clearance and departure angles at the rear of the vehicle with the towbar and hitch positioned higher in the step. Additionally, the rear step is built around a large diameter (60.3mm) steel tube structure, which offers 180 degrees of rear protection to the tub of the ute. The rear protection tubing wraps neatly in line with each individual tub design and offers impact protection against bumps and scratches often collected off road. The rear bar also includes tabs rated for use with an off road long-travel jack to ensure you can raise the vehicle off road when needed. ARB’s current range of Rear Step Towbars includes its Summit RSTB, which is available across a wide range of popular vehicles, current and past. The Summit RSTB was ARB’s second generation of rear steps and offers almost seamless design integration and improved stone chip protection to the rear of the vehicle with colour matched and easily replaceable rear quarter panel wings. More recently, the Summit Raw RSTB has been released for Ford Ranger, Toyota HiLux and Mazda BT-50. The Summit Raw is a stripped back version of the original Summit; while it loses the colour coded wings and hinged fittings cover, the exposed tube is designed to offer a more rugged and exposed style while maintaining all functional and protection aspects. When customers enter an ARB store, they are presented with a range of accessories, almost all of which are something which wasn’t available on the vehicle as standard. Towbars, bull bars, driving lights, roof racks, drawers, lockers; these are all additional items to create a more robust, safe and convenient 4WDing experience. The concept of updating a vehicle’s suspension however, suggests removing a perfectly good, new part of a vehicle and replacing it. Is it really necessary? In most cases, ARB says, the answer is simple: yes! Vehicle manufacturers tune their suspension for the intended purpose of the vehicle as it was sold. As customers start adding touring, towing or accessory weight, the limitations of the standard suspension can quickly be found and handling, comfort and safety is quickly jeopardised. 4×4 suspension packages are designed to suit a variable range of vehicle uses, from off-road 4WDing to on-vehicle load carrying and towing. It all starts with spring selection; as the springs are matched to suit the constant load carrying of the vehicle (including tow-ball weight when towing). 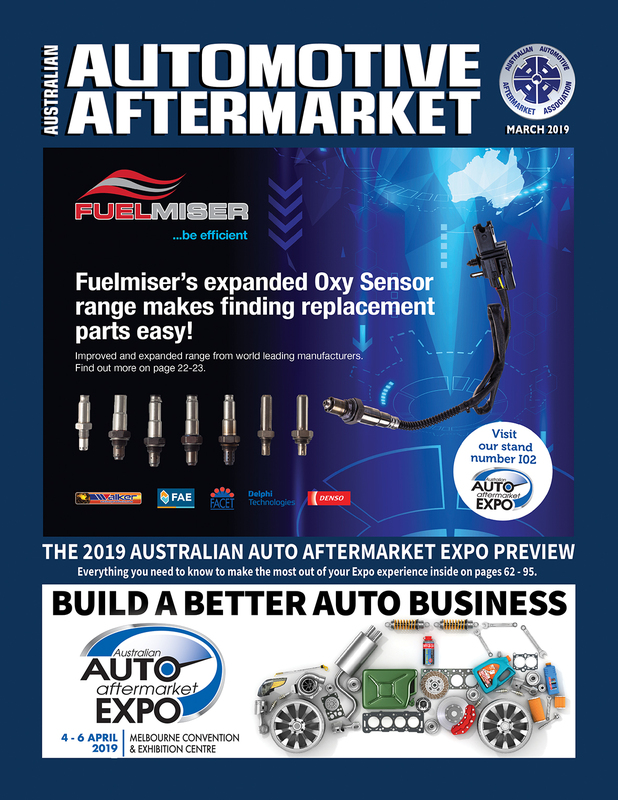 Old Man Emu Suspension, designed for 4WDing by ARB, offers a range of spring options for most current and previous model 4WDs to accommodate the regional commuter and their steel bull bar through to the fully loaded tourer requiring a GVM upgrade to carrier heavier loads than standard. Once the correct spring has been selected, a properly valved shock absorber is required to manage the springs’ energy. A choice of shock absorbers is available which can both be matched to the spring selected and to the owner’s personal preference. Old Man Emu currently offers two design variants in its shocks; the proven twin-tube Nitrocharger Sport is a dependable and cost efficient solution, while the newer internal by-pass shock with remote reservoir (BP-51) is a class leading shock absorber offering unmatched performance and adjustability for ultimate ride control. 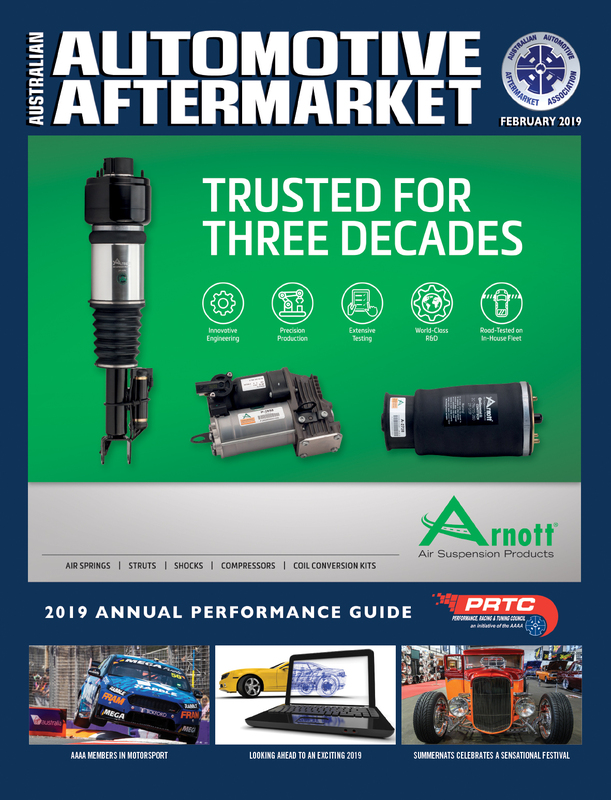 Tying all this together are a range of additional components including steering dampers, caster bushes, greasable shackles and more to ensure owners maintain a completely integrated package. ARB says Old Man Emu suspension packages offer more than just a lift kit, heavier springs and a longer travel shock. 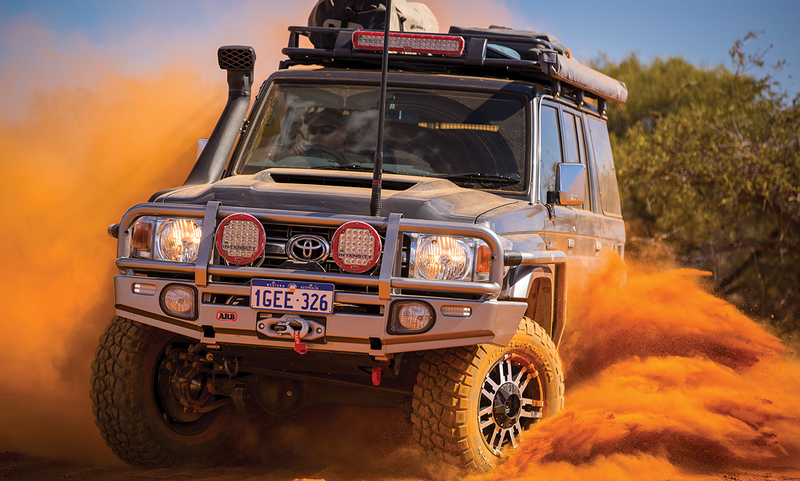 As 4×4 specialists, Old Man Emu only manufactures suspension for 4×4 vehicles. Shock absorbers are carefully engineered and valved to suit not only each model independently, but also to work in unison with ARB’s range of 4×4 accessories.